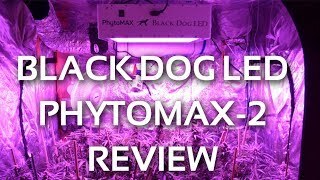 The manufacturer Black Dog LED developed during 6 years its spectrum of light Phyto-Genesis Spectrum® which is integrated in horticultural LED panels "Phytomax". 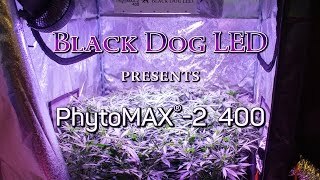 This is a full spectrum ranging from UV (ultraviolet) to IR (infrared) for growth and the flowering of plants in indoor cultivation. The wavelengths vary from 365 to 750 nm has a white color rendering. The brand offers a 5 manufacturer's warranty years and provides a life time greater than 70.000 hours. 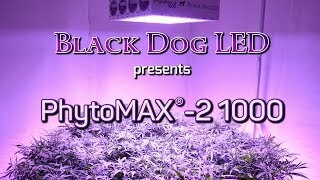 The lamp PHYTOMAX-2 1000 is composed of 420 LEDs. And planned to replace a lighting HPS of 2000w with a consumption of only 1000 watts. 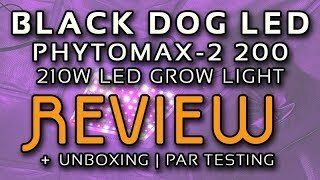 The range of horticultural LED panels Black Dog LED is composed of Phytomax II 200 – Phytomax II 400 – Phytomax II 600 – Phytomax II 800 – Phytomax II 1000.